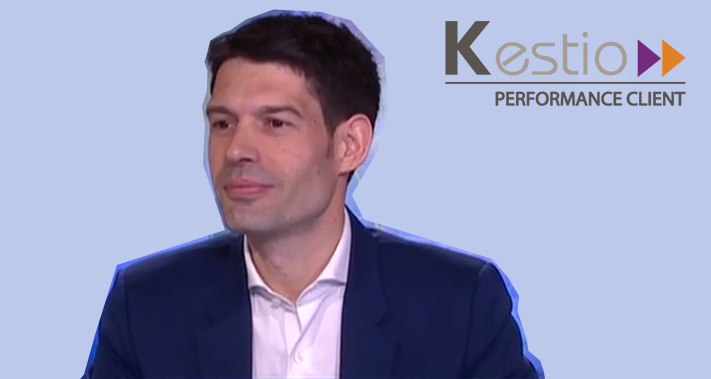 The Partech Shaker hosted Dominique Seguin, DGA Business Development & Partnerships, Kestio Live, to discuss how to target key accounts. A workshop designed to help start-uppers successfully convert leads into sales. - A majority submit their proposal by email. For most entrepreneurs, signing deals with key corporate accounts is a very tiring and time-consuming experience. A lot of effort is needed to generate few results. However, in the race for sales, there is no medal for second place. If you participate, you must succeed. The transformation rate for key accounts is estimated at between 20 % and 30 %: 10 leads result in 8 prospects and only 2 customers. To increase your chances, you could increase the number of prospects to 20 leads. A better option is to change your approach so that your 10 leads result in 4 contracts signed. After the first appointment, you need to decide if you should pursue or not (Go / No Go). One common mistake is to believe that it will always work out. You have to be sure that your prospect really wants to buy your product or solution. We all have a different perception of reality. Look at the front page of the magazines after a major event: they won’t all necessarily focus on the same angle. It’s very important to collect all perceptions after a meeting, and not only those of your main contact. It is key to multiply your contact points. A piece of information is considered to be valid if it has been verified by 3 people. We live in a very polite country where your contact is likely to tell you at the end of the meeting “Thanks a lot, that was very interesting, we’ll get back to you.” But remember that the prospect who is buying your product is an active one: you need to ensure that he/she actually works on the deal after the first meeting. Another important point is to identify the main challenges and key contacts in charge of your project within the first 15 minutes of the meeting. It is always useful to have an organization chart on which you highlight the people you have met and the date you met them. If you take notes in bullet points, you are likely to write: “digital factory in progress”. By doing so, you tend to lose some information. We often notice that the client doesn’t entirely agree with your brief. One solution could be to come with a colleague, but this raises the subject of resources allotment. Your mission is to capture the gross data, not the data modified by your filters. - When is this project due? - How many factories are concerned? - What do you mean by innovative? - What is your view on digitalized factories? We have all shared the same unpleasant experience: your meeting is miles away; your contact makes you wait for half an hour at the reception to finally tell you that he only has 20 minutes for the meeting! Transport is a key issue for a lot of sales people. Reps tend to spend 45 % of their time in transport: this is time and cash consuming. You need to think about how to reduce transport costs for your sales force. Evangelization can be done differently with a stronger impact and a lower cost. We recommend not going physically to the first meeting (top of the pipeline): you can contact your prospects by telephone, video conference, etc. But make sure you deliver your proposal in person, and not by email. If you do send your proposal by email, to ensure that your prospect contacts you again, do not include your price list. You need to be in control of the last 100 meters! At the end of the cycle when you deliver your proposal, you should change position: you are proud of what you are about to sell to your clients. You are no longer in a supplier/client situation but more in a partner one. One good tip is to change the term “proposal” into “working meeting” and “work document”. You are about to participate in a co-construction meeting. Make sure you don’t have a 40-page long presentation because if the client asks you a question on slide 1, things might get long and complicated. 2- Present your recommendation: explain how you are going to meet their challenges. Never include pricing: a client doesn’t need to know the price to buy your solution/product. You need to sell your solution before giving the price. Don’t give him the chance to say: “Your offer is great, but it is very expensive”. Ask if your offer meets the challenges; if your contact says no, ask why and say that you will re-work it and present a second proposal / if the answer is yes, then you can start negotiating the price. A sale differs from the negotiation. It is very rare to never agree on price. Just before beginning to talk about pricing, it is a good idea to present some user case studies with client references. 3- Present the next steps: timing, actions, contact.